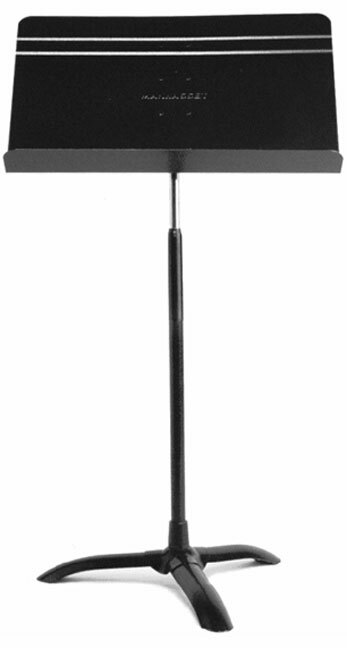 The Manhasset Symphony stand offers consistent high quality and durability. The desk is 20" wide x 12 1/2" high. The height varies from 26" to 48" (lip to floor) with a maximum overall height of 60 1/2 inches.